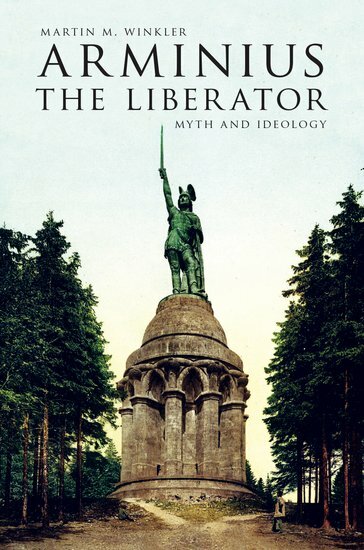 Martin M. Winkler, Arminius the Liberator: Myth and Ideology, Oxford, 2015. Arminius the Liberator: Myth and Ideology deals with a particular, although wide-ranging, aspect in the long reception history of Arminius the Cheruscan, commonly called Hermann. Arminius inflicted one of their most devastating defeats on the Romans in the year 9 A.D., when he destroyed three legions under the command of Varus in the Battle in the Teutoburg Forest, as it is generally called. Martin M. Winkler traces the origin and development of the Arminius legend in antiquity and in political and ideological appropriations of Arminius-Hermann since the nineteenth century. The book's central theme is the ideological use and abuse of history and of historical myth in Germany: Weimar-era nationalism, National Socialism, and the reaction to the ideological taint of the Arminius figure after 1945. The book also examines the various appearances of Arminius in art and media from the 1960s until today. Special emphasis is on the representation of Arminius in the era of visual mass media in Germany, Italy, and the U.S.: painting (Anselm Kiefer) and theater (Claus Peymann) but, most extensively, cinema, television, and computer videos. b. Arminius Conscripted into "Break-Through Battle "
c. "Hail Arminius! Savior of Germany! " b. Will Arminius Conquer the Screen Again? 6. The Nazi-Era Lyrics of Gab's darum eine Hermannschlacht?